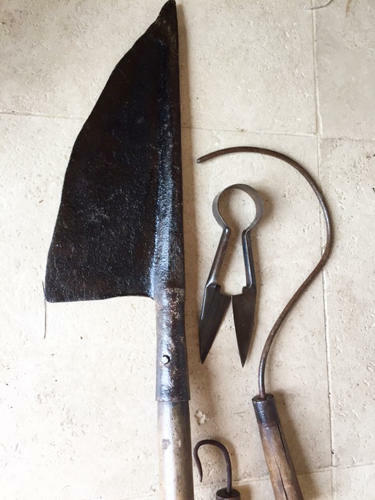 Four Thatching items selling together as they came from the same Thatchers. Early Eve's Knife used for shaping over the windows etc. Wimble for making straw string. Pick Thank for grabbing straw or reed towards you.